An enhanced culinary culture, Cardi B, Petit Biscuit, the Do Lab, and the glam band from Japan who took on Beyonce all walk away from Indio with a win. 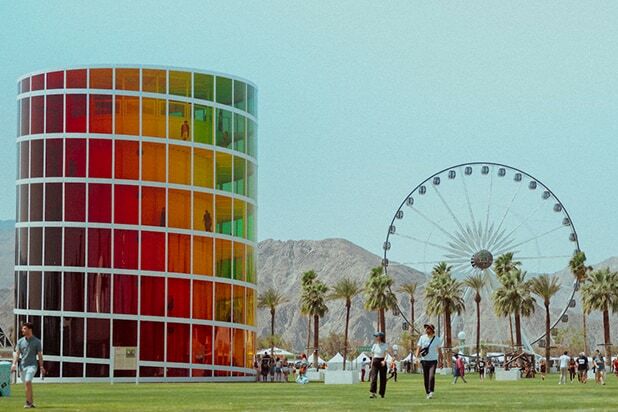 The 2019 Coachella Music and Arts Festival will take place on the weekends of April 12-14 and 19-21, 2019. It will be the 20th anniversary of the festival – and the 20th edition. The now iconic music festival in Indio, California sputtered at its start with an inaugural event in the fall of 1999, did not return in 2000, and then settled into its April timeslot in 2001. Producer Goldenvoice appears to be leaning in to the milestone, touting the 20th anniversary in its opening line of a press release. While the festival’s cultural relevance has expanded beyond music to reach a hallowed status amongst fashion, food, celebrity, and social media industries, the 2019 dates will have holy reverence for some. Both Easter and the first night of Passover fall on the second weekend. Pre-sale tickets will go on sale at 11 a.m. PDT this Friday, June 1, although the lineup will not be revealed until January. Regardless, the pre-sale has sold out every year. A secondary general on sale follows after the lineup announcement in January. Prices will remain steady at the 2018 levels: $429 for General Admission and $999 for VIP. The most exclusive wristbands available to the general public are festival “Guest” bands, which confer side stage viewing access, golf cart transportation, and other perks. These are only available with on-site glamping accommodations in a “Safari Tent,” going for $9,500 all-in for two people or $14,500 for four people (the cheapest “Guest” band option split at $3,625/person). Responding to the campers’ demands for prime real estate close to the festival entrance and alleviating some of the middle-of-the-night early bird arrivals around Indio, the festival will debut new “Preferred Camping” passes for 2019. These guarantee space close to the ferris wheel for a $200 premium above the normal $125 camping pass. As Coachella 2018 draws to a close and producer Goldenvoice flips the Empire Polo Grounds in Indio, California, to country mode for the Stagecoach festival, we rank two weeks of music, artists, amenities, and experiences in to winners, losers, and "needs work." The expectations were so low for the former reality TV star, who was booked when she had only one hit and was granted a tiny window on the main stage. In the run up to the fest, she openly discussed her "low" fee ($70,000/weekend), had a freakishly short set time, and is pregnant. None of that baggage mattered. She twerked on the main stage, brought out four major guest stars (including G-Eazy), picked up Beyonce's fired dancers, and won over thousands of fans who might never go see her at a hard ticket show. Most of all, she was memorable. She'll be back. As Cardi's chart trended up, her fiance Offset and Migos went in the other direction. They came on late the first weekend (a fatal move at tightly regulated festivals), were sluggish, and got booed. They picked it up for Weekend 2, but by then most press and buzz had moved on. In 2017, they made a zillion guest appearances during others' sets at the peak of "Bad and Boujee's" popularity. That was the moment. Is there such a thing as "Wait 'til last year?" A week later when high winds delayed the Weekend 2 campgrounds from opening for 24 hours, leaving out-of-town campers stranded and canceling the favored "Day Zero" campground party, many organized a tailgate at a local Indio Walmart parking lot. Redditor and Instagrammer @IamPhilocybin got handy with photoshop to dub the replacement party #Walmartchella. I did not hear a peep of buzz about either of the singers' sets. On Weekend 2, SZA didn't allow any photographers at her set, which doesn't help. Did these sets even happen? Miguel's high point was joining Kygo (pictured) during the producer's stellar weekend two set to sing "Remind Me to Forget." Someone had to play against Beyonce. It was these rock legends from Japan who are used to playing for stadium-sized crowds and have sold over 30 million albums. They had been shadow boxing with Goldenvoice on a festival slot for a few years working with powerhouse WME agent Marc Geiger. They didn't discover their awful set time draw until days before the festival. Bury their head in the sand? No way. Bandleader Yoshiki went "all caps" by recruiting "cousins" from other wings of the global metal family tree (Marilyn Manson (left) and "Limp Bizkit's" Wes Borland) to join them as Coachella's missing rock headliner, created holograms of their two deceased members, and thrashed the Mojave with blinders on. The L.A. Times called it a "rock opera." When we spoke after Weekend 1, Yoshiki told me he was excited to go to the festival on Sunday at noon the day after his show, drink, and be a fan. Give them the spirit award and look out for their new english-language album #GoodVibes. There's no excuse for this. For the data mining potential alone, the festival should blanket the fields at least as strongly as the public wifi in the Burbank Airport. Concerned about fans livestreaming sets on YouTube? Put in a data cap and throttle the abusers. Both GA and VIP now have an array of gourmet, healthy, unhealthy, hand-held, and face nomm'ing action. Here, MallowMallow showed off one of their frozen S'mores concoctions. This was a lunchtime superstar: a plant burger from the forthcoming Monty's Good Burger in Riverside. The fest also debuted the Indio Central Market this year, modeled after the Grand Central Market in downtown L.A. Joining it was a revamped Beer Barn with craft brews and wine "vineyards". How long before they debut a "Food-Only" bracelet and convert the name to "Coachella Valley Music, Art, and Food Festival". Paul Tollett, we're ready. "Straight out of a woodstock documentary," is how one critic summarized the band of brothers (and one friend) from Michigan. "To be honest, we didn’t really know what we were getting into at all," bassist Sam Kiska told The Party Report after the show. "We all went into this with no predisposed idea of what we were doing. We just went up on stage and here was this massive tent filled with people, then overflowing with people actually outside of the tent. There was no soundcheck, no line check, we just got up on stage and played. I guess that’s what being a musician is all about." "I felt that we took that excitement and put it right back [in to the set], this feedback loop just kept getting bigger and bigger until the end of the show, the last note of ‘Safari Song.’ Everybody had a great time, they go off and see something else, and take that energy with them, spread it around So, yes, I think that Coachella lived up to everything we thought it was going to be." All killer, no filler, their talent-only parties on the first weekend challenged Ellen's Oscar selfie. After the Weeknd's headlining show, he celebrated with Shania Twain, Nicki Minaj, Oscar-darling Timothée Chalamet, some Jenners, and Migos. This was "the one" to be at, and I don't know any civilians who made the list. Goldenvoice counter-programmed set times, opened up new pathways, and shook up stage genres to prevent single genre fans from "camping out" all day in one space. This forced people to move around the grounds and eased the worst bottle necks of the recent past. Bringing out RL Grime and ZHU as surprise guests on the opening weekend scratched the itch of EDM fans deflated by the lack of Vegas big-room types. However high winds reportedly destroyed the structure between the two weekends (right), with the Do Lab crew rebuilding in days. By Friday night of the second weekend, they hosted a party backstage and were gearing up for their own Lightning in a Bottle festival next month. Weekend 2 kept the good vibes going with a day-long barbecue for friends and surprise sets from Tokimonsta and Claude Von Stroke. Also, Do Lab fans fought back against the infamous Coachella pickpockets, where a group, including a fitness competitor named Daniel Joseph Rivas reportedly caught, tackled, and restrained a thief carrying 50 stolen phones until police arrived. Not only did hop-hop dominate the lineup this year, taking over two of the dance tent's headline spots, it also fueled the Heineken House festival-within-a-festival. Snoop Dogg, Mase and Diddy joined Busta Rhymes for his headlining performance inside the space the opening weekend. The 2013-17 Sahara tent (pictured) here had become a safety and health hazard with gridlocked and overflowing crowds where pickpockets raided phones at will last year. After The Chainsmokers' 2016 performance, one Entertainment Weekly radio personality had said she feared for her life in there. Voila! By rotating the Sahara to "landscape" mode, making it 25 percent bigger, and relocating it in to a shady area, it solved all of the pain points. People could dance with their friends in a circle and (gasp) even turn around and face each other in the new space. Panoramic screens made the back of the tent (pictured here) as great a spot as the front. Months of internet consternation and speculation paid off. Bravo! Known for atmospheric dreamy chill time, Mehdi Benjelloun (right) flexed his set in to an energetic Sunday afternoon ride. He accepted The Party Report's kudos, emailing to say: "Festival audiences are the best challenge because there’s two different type of people in the crowd: those who already know what you’re doing and the other ones who gonna discover you! And you have one hour to make the magic happen and get people into your world. That’s why I thought my live show was a catchy one and also do my best to make it rather aerial, just to enhance the emotions my music is supposed to bring." Days after the Coachella lineup came out in January, Hans Zimmer told The Party Report that JMJ was the must-see act of the festival. Hans Zimmer knows music. He also knows Coachella, having wowed the 2017 festival as the oddball booking. Jarre played the laser harp (left) and imported his municipal-sized show to the Outdoor Theatre winning over new fans with a full audio-visual experience. Sadly for those on the hunt, his brief April U.S. tour is now over. The 23-year-old "SpaceMom" was not just the only woman to headline the Sahara tent. She was the only DJ to get that spot. Her hypnotic, psychedelic, late-night bass had fans dragging their friends who started the set saying "Who the f--- is this?" (question) to "Who the f--- is this!?!" (exclamation). This is a big leap for someone who was squarely in the middle of the pack at single genre EDM festivals months ago. Ghostly and haunting, Edoardo Tresoldi's wire and mesh structures were translucent, shadowy mysteries from afar and up close. This air-conditioned quarter-mile hike to the best views of the grounds was the defining icon of the fest. Its aura evolved by daypart, turning festival fans in to rainbow silhouettes after dark. Years from now, people will call 2018 the "Beyonce-Lifesaver" year, but that would be inaccurate. It's not going anywhere soon. It will be back at Coachella 2019 and 2020. Phone battery charging companies, beer, rideshare services and interactive music partnerships were a natural fit. By way of example, as part of Google and YouTubes' casual artist lounge behind the main stage, artists demoed this Google Home Max wifi speaker, that can figure out its own placement in a room and recalibrate its equalizers accordingly. The Aussie singer-songwriter got promoted to the Main Stage after filling the Mojave tent back in 2015. The day after watching Beyonce from the field like a fan, his afternoon sing-along set literally cleared the clouds and brought out the sun on April 15. A Lionel Richie "All Night Long" and Justin Bieber "Sorry" live mashup got the crowd dancing off any Saturday night cobwebs.